Can You Charge Your Cell Phone By Putting It In The Microwave For One Minute? There has been a long-standing claim that you can fully charge an iPhone battery if you put it in the microwave for one minute. They say that scientific studies show charging a phone this way is safe and is actually better for the phone’s battery life. But is it true? No! As a matter of fact, one would only try this in an attempt to destroy their microwave and potentially burn their house down. Hundreds of people have tried the iOS 8 ‘WAVE’ feature that is supposed to ‘interface your device’s radio broadband, allowing it to synchronize with microwave frequencies and use them to recharge your battery’. Their new phones…. completely destroyed! 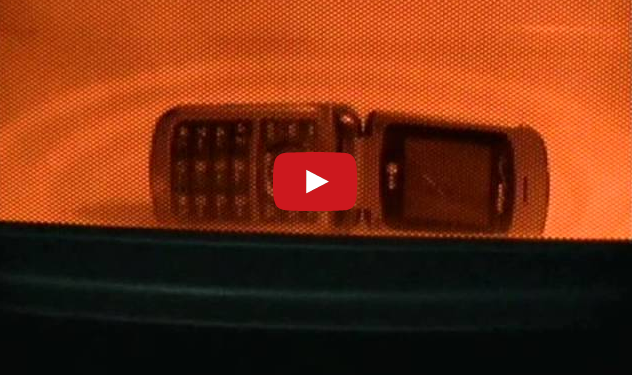 The video below shows exactly what happens when someone is foolish enough to stick a cell phone in their microwave. CLICK HERE —> TO LIKE DAILY BUZZ LIVE ON FACEBOOK! Check out the video below!